We've all heard the adage "first impressions are the most lasting." As your students return from summer vacation, what first impressions will they have on their first day in your classroom? What lasting impressions will "set the tone" for the remainder of the semester or school year? Had I paid more attention to my students and their first day impressions or expectations of my classroom, then I wouldn't be dealing with these challenging behaviors today. It's too late now but next year..."
Although it's never too late to re-contract with students, it is often more challenging than setting the tone during the first day or week of school. "Getting it back" always takes more effort and time. Facing History and Ourselves believes in creating a safe and reflective classroom from the beginning of the school year. By creating a classroom community contract rather than distributing or posting a predetermined set of rules for behaviors, students are given an opportunity to "own" their set of rules and norms. Say "thank you" to someone who shares a new helpful idea. Share talking time with others in the class. Don't interrupt others while they are speaking. If you don't understand something said, ask for clarification. 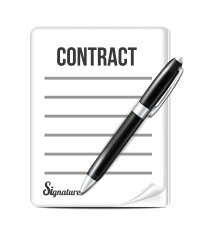 POST THIS LIST as a "living contract" which can be referred to throughout the year when rules have been broken, and as a document that can be amended as new issues or concerns arise from time to time. What part did you play in it? Who was affected by what you did? What can you do to repair the harm? By reflecting on these questions, students begin to understand the harm done to the learning community. At the same time, each student must remain a valued member of the classroom community. Often, asking those who "break the norms" to consider ways to acknowledge and apologize to the community reinforces the importance of maintaining a safe and reflective classroom community for every member. Students can write and post their apology on a "Restorative Justice" bulletin board set aside in the classroom or they may choose to simply state their apology to the class as a whole. How Do We Create Safe Classrooms? Video and text from the educator guide to Bully. Download the full "A Guide to the Bully: Fostering Empathy and Actions in Schools." Page 9 includes a description of safe and reflective classrooms and the role of contracting. Watch our recent webinar on the topic of creating a safe and reflective classroom community. Dan Alba joined the Facing History and Ourselves staff in 1994. He currently serves as a Senior Program Associate.